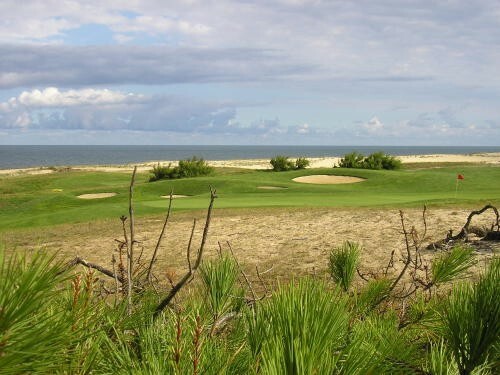 The Golf de Moliets is a remarkable golf course laid out in the pine forests of Les Landes (for 13 holes) and along the coast (5 holes). A typical Robert Trent Jones design, where the technical and strategic challenges reflect an in-depth knowledge of golf. While the more proficient golfer will find this a tough challenge, playing from the forward tees is funnily enough, often more conducive to error. The famous jagged bunkers are a remarkable form of defense for the greens, three of which are virtually blind, and the putting surfaces are neatly but never excessively contoured.. 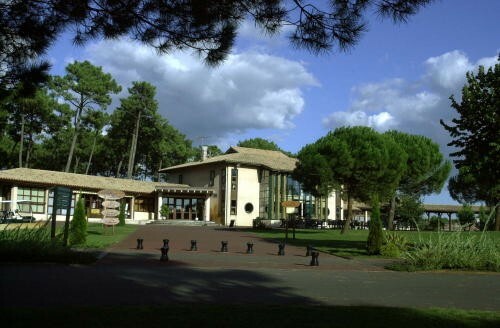 The Golf de Moliets, voted Best course in Aquitaine in 2005, is classed in the Top Ten French golf courses and figures in the top 25 European courses. It is at Moliets that the combination of the genius of the architect Robert Trent Jones and the natural environment gave rise to the creation of an exceptional 27-hole course, set within a century-old pine forest and bordering the Atlantic Ocean. The Moliets Golf Course is ranked one of the top 10 in France and regarded as one of the 25 most beautiful courses in Europe. 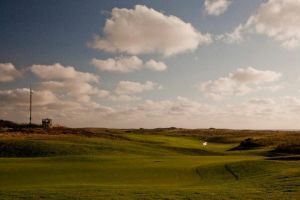 It is also used by the European Challenge Tour as part of the European circuit. 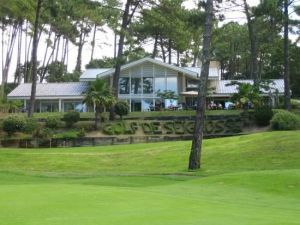 Close to Biarritz and Bordeaux, this unique links course with its wide fairways, set within delightful surroundings was recently voted the 68th most beautiful course in the world by the magazine Golf Digest. 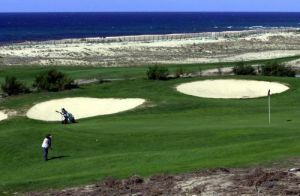 Although a challenging course it remains accessible to all levels of golfers, professional or not. 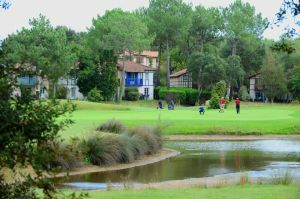 Golf de Moliets - Cutyot (9 t/h) - On Request is not yet in our pool of Golf Courses for orders.